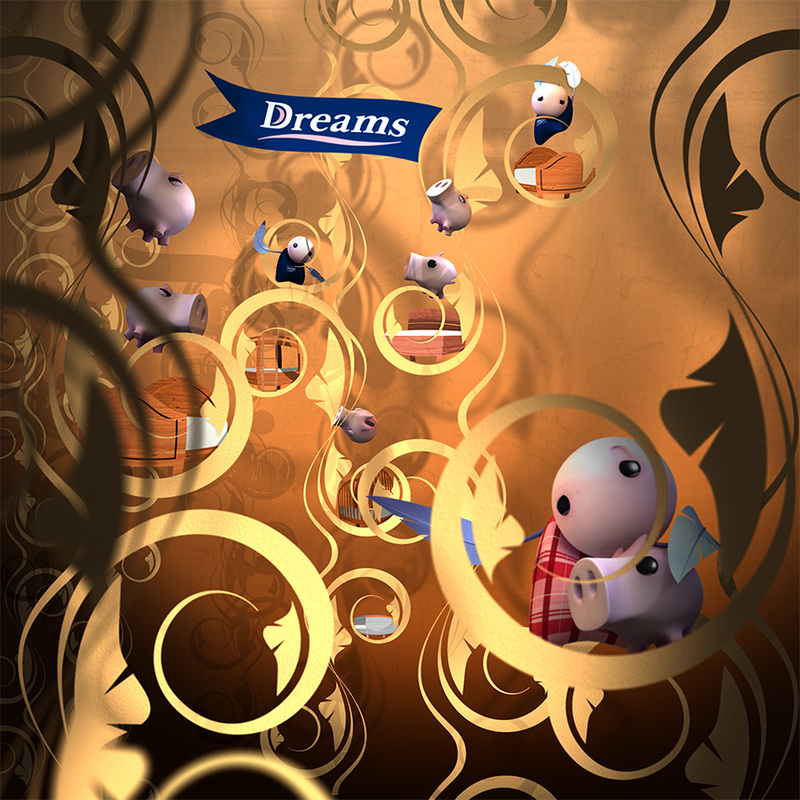 We were tasked with creating a series of simple animated worlds which would showcase bed retailer Dream's unique selling point. As the company is very family oriented Simon decided to embrace the children's TV aesthetic, but with a slightly night time, Tim Burton-esque twist. 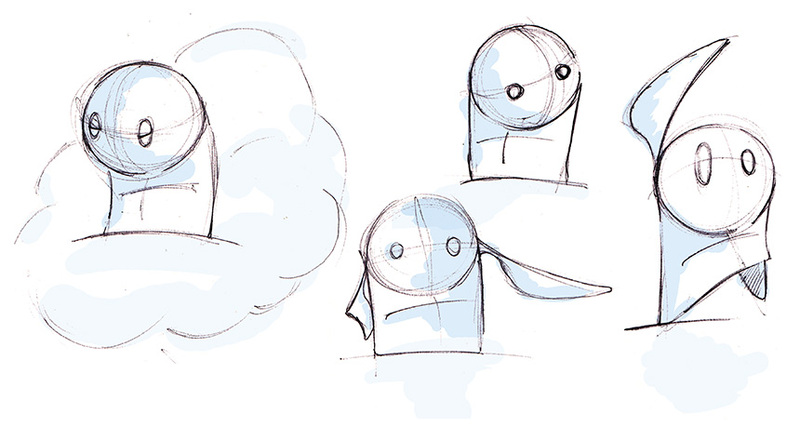 The characters - briefed to be simple in their form and function, were derived from the basic shapes of a head on a pillow, with the comfy feather stuffing becoming arms. This also gave the character a soft, cuddly feel through simple association. Next we decided to craft the worlds as if the main protagonist - a person who can't sleep on their uncomfortable bed - were to fall asleep. 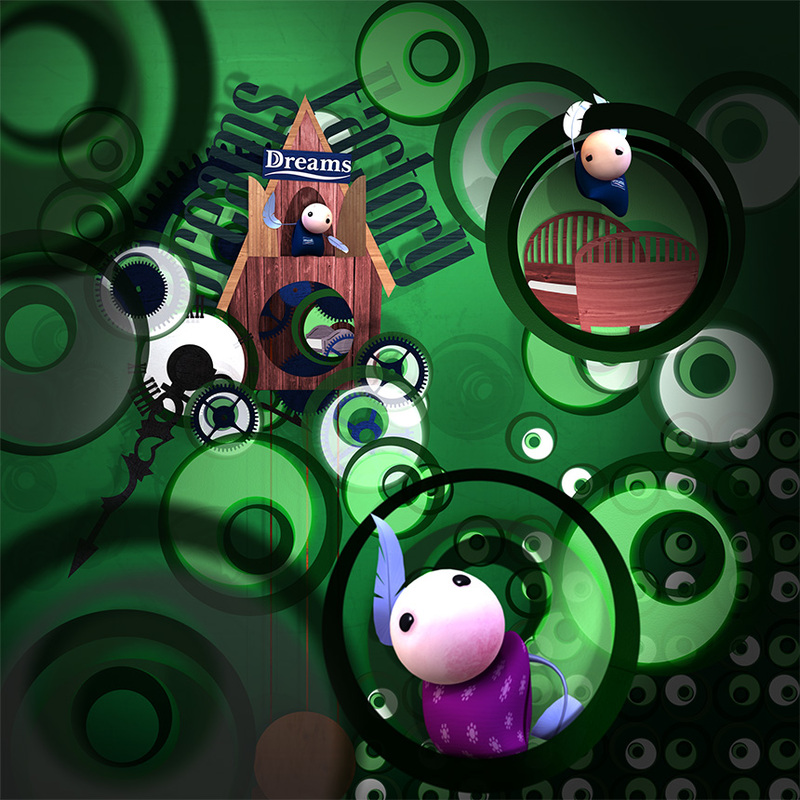 Often our dream worlds are built as an exaggerated version of our reality. 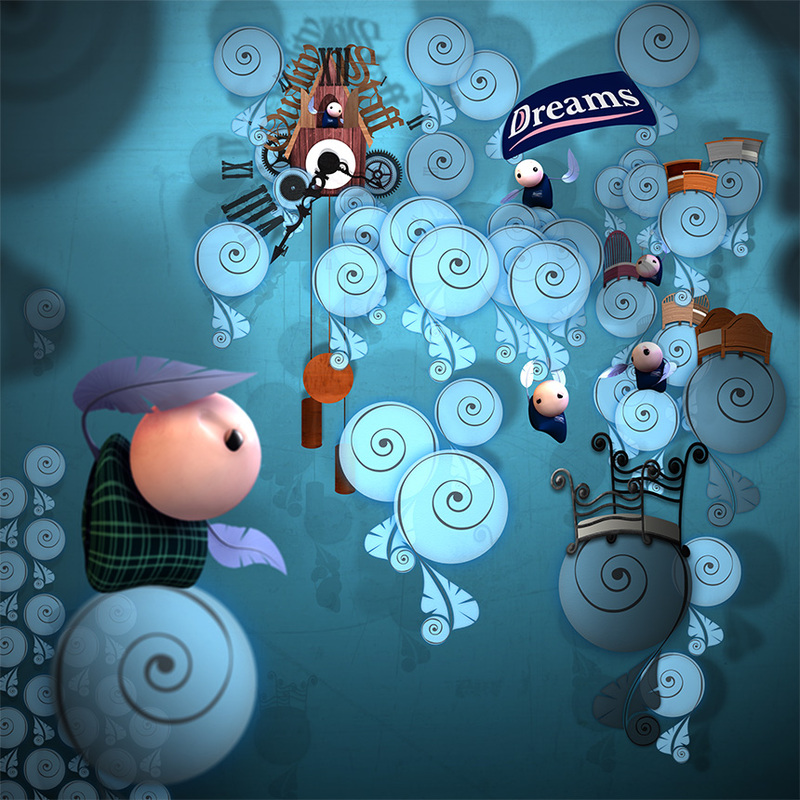 So Simon decided it would be fun to create worlds that formed out of the bedroom wallpaper. Each animation would have a different 'retro' wallpaper and colour theme so viewers could immediately see a new ad was here.